It was reported in the news that Australians need to be careful when drinking tap water, as lead has been found in some water across the country. enHealth, the Australian committee representing health departments, said back in July that Australians should run their taps for over half a minute before drinking the water in order to avoid the accidental consumption of lead. The National Health and Medical Research Council and the New Zealand Ministry of Health also publicised the same warning, but it didn’t receive much publicity. However, it’s important to be aware of what’s in our water. The water piping in Australian infrastructure rarely consists of lead, which is comforting to know. However, brass fittings and other plumbing products can sometimes feature lead and if the water comes into contact with these fittings over long periods, it can cause the water to become contaminated. The side effects of lead poisoning can vary, but symptoms can include tiredness, pains in the muscles, stomach ache, headaches and nausea. More serious side effects can include vomiting and even seizures. Unfortunately, young people are the most vulnerable to the side effects of lead, as digesting the substance can influence brain development in children. This is due to the body-size ratio in relation to the volume of lead a child might consume. Even though the World Health Organisation advises no lead is safe to consume, Australia’s standards aren’t as tightly controlled as other countries such as the US and Canada, where only 0.25% of lead is allowed to be within brass fittings. In Australia, this figure is as high as 4.5%. However, there are signs of improvements underway, with the Australian Building Codes Board currently reviewing plumbing fittings to ensure they are safe. There are a number of simple steps you can take to avoid lead exposure. Firstly, only use cold water to drink and cook with, and allow your tap to run for 30 seconds before using it. If you’ve been out of the house for a period of time on holiday, flush the cold water for a longer period of two to three minutes before use. It’s also important to remember to flush the water if using a tap within a public facility, as sometimes public drinking water fountains haven’t been used in awhile, causing the water within them to go stagnant. Always run the tap for at least 30 seconds before using it. If renovating, consider the plumbing materials you plan to use and avoid brass. Opt for copper or nickel fittings instead to lower your chances of lead exposure. In general, choose plumbing products that are certified to WaterMark and AS/NZS 4020:2005, or ones which are lead free or have a minimal amount of lead within them. You can read the complete guidelines issued by enHealth here. In particular, it’s important to be vigilant if your home’s water supply is rain water. Rainwater systems can sometimes dissolve more minerals, such as lead, from plumbing materials. This is because rainwater is more corrosive than other water types. So if you drink rain water regularly, don’t forget to flush it first. Of course, you can also opt for bottled water, which is of a high quality and offers minimal chance of lead exposure. For example, Beloka Water’s natural aquifer has no nasty surprises, with water having a lead component of less than 0.001. If you are worried about the quality of your water, you can get it tested through your water utility company. 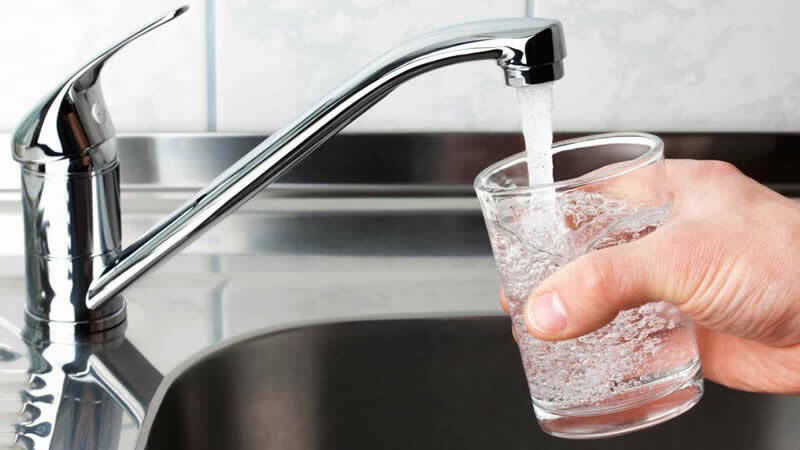 State governments, such as NSW Health, encourage the regular testing of water supplies, and this information can be easily passed on to consumers. Some of these water utility companies will regularly publish this information directly on their websites as well. For example, if you are in NSW, Sydney Water and Hunter Water regularly post the results from their drinking water monitoring on their websites. There’s no need to panic about lead contamination and if you follow the simple steps above you will have healthy drinking water for years to come.